I love Fatbellybella. Thanks for sending this my way BrightJustin! Last night I attended the inaugural Hip Hop Family Reunion in my home town Charlotte, NC. Though, I can be quite the introvert I like attending events that support not only my city but good music. There’s a lot of talent here and I have no doubt that sooner or later these artists will get the recognition they deserve. I had a hella good time with all of you that came out and supported the cause :) I was too hyped when Ray & Jimmy performed ‘DUI‘ and almost collapsed when Elevator Jay dropped the ‘Highdro‘ beat and thought he wasn’t going to perform it, but thankfully! He did haha. Peep some footage of the festivities below. Awhile Back I introduced Whyelfiles and one of their upcoming events “Whyel’d Style”, above is video of Luca and Exactly (of Stereoloud) Performing Live. If you were in attendance, You also know that some of the footage was used for Exactly’s new “I’m ILL” video and Luca Brazi’s SOL EP will be dropping tomorrow, so be on the lookout for that. I feel like the footage above pretty much sums up how awesome my TDE Experience was!!! 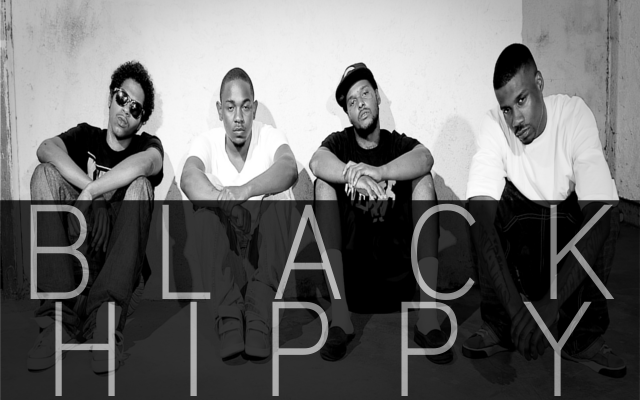 well some of them…Kendrick Lamar, Ab-soul and Jay Rock will be performing @FillmoreNC September 11th!! (Schoolboy Q won’t be at my tour date, But I hear Stalley will be). For this occasion, I’ve decided to share some of my Favorites by these four California emcee’s. I’m nOt a fan of Jay Rock, so by all means feel free to put a Sista on and Check out the Tour Dates for a City near you!